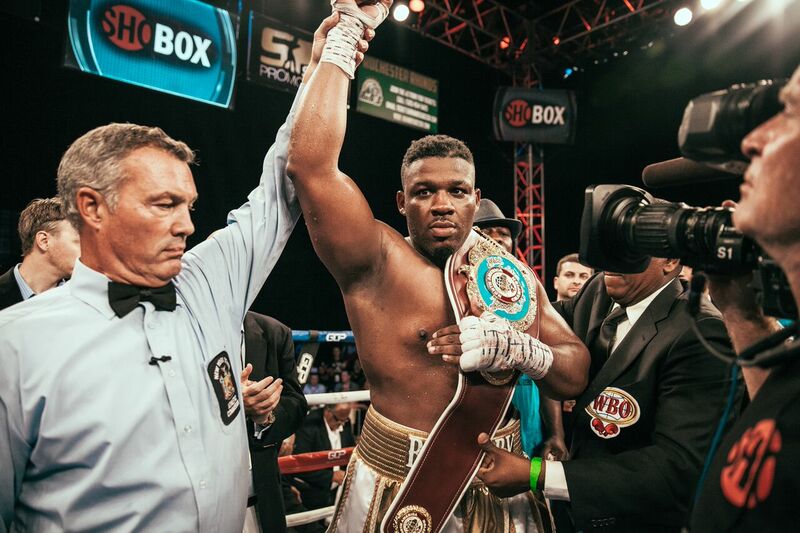 American heavyweight contender Jarrell “Big Baby” Miller 20-0-1 (18) is looking to make a big statement when he clashes with Johann Duhaupas 37-4 (24) of France in a WBA title eliminator at Barclays Center in his hometown of Brooklyn, New York on April 28. The fight will be broadcast in the United States on HBO. Currently ranked number three in the world by the WBA, IBF and WBO, a victory over the WBA number seven ranked Frenchman will put the 29-year-old Miller very close to a shot at champion Anthony Joshua. The 37-year-old Duhaupas went eleven rounds with WBC champion Deontay Wilder in 2015. “I’m coming at Duhaupas like a tornado,” said Miller. “I’m not going to compare my performance against Duhaupas against anything Deontay Wilder did in their fight, I know what I’m going to do and that’s to look spectacular. “It’s lights out time on April 28, plain and simple. “I’m ranked #3 by the WBA, WBO and IBF so I’m not on a particular track other than to fight for a world title as soon as possible, whether that’s Anthony Joshua or someone else. Miller is confident in his ability to beat all the current crop of heavyweights and insists he doesn’t have anything to fear from the titleholders or leading contenders. “I’m not impressed by anything Anthony Joshua or Deontay Wilder have done, they haven’t faced me yet and I’m going to keep knocking guys out,” Miller said. “I’m glad Tyson Fury is back but if he fights me I’m knocking him out. “Every opponent is tough, [Duhaupas] is probably one of the toughest in my career but I’m going to knock him out on April 28.